Mevadhashma are engaged in manufacturing and supplying a complete range of industrial valve such as RAV Rotary airlock valve, industrial air valves, industrial dampers, slide gate valve, knife gate valve, flap valve, sector gare and diverter valves etc. Mevadhashma also offering material handling system, material handling products, bulk material handler, solid material handling, conveyor system, material handling system, conveyor manufacturer, conveyor system, belt conveyor spares, air lock, rotary air lock, rotary valve, rotary airlock valve, air lock valve, rotary valves, knife gate valves. 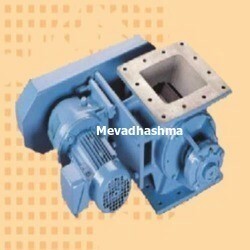 Mevadhashma manufacture, supply and provide service for top of the line Rotary Airlock Valves, Pocket Feeder , Ash Feeder. These Pocket Feeder, Rotary airlock valves, Ash Feeder are used for managing fine grade solid materials with the principle of differential air pressure conditions in the system. 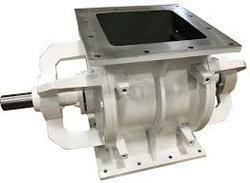 Our rotary airlock valves are designed to provide excellent airlock sealing for efficient various industrial processes. With our skilled experts and well established manufacturing unit, we are involved in offering a comprehensive assortment of Rotary Air Lock Valves. This air lock valve is manufactured using top quality raw material and latest technology keeping in mind the set norms of industry. The offered air lock valve is well known among patrons for its flawless performance & long service life. We are giving this air lock valve to our customers in varied specifications at market leading rates. We are providing our clients an excellent range of Air Lock Valves. Our given range of air lock valve is manufactured in adherence with predefined guidelines & advance technology. We offered this air lock valve in different specifications to our customers. This air lock valve is valued in the industry owing to its optimum quality. We specialized in manufacturing, exporting and supplying a durable and stylish variety of Knife Gate Valves. 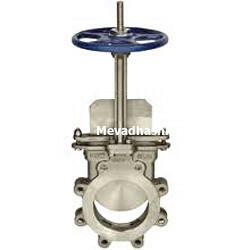 Provided gate valve is offered in different specifications as per the requirements of clientele. This gate valve is developed with the help of competent workforce using high quality raw material and leading technology. Offered gate valve is high on demand among our patrons due to its indispensable features.